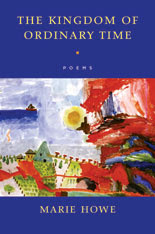 - Marie Howe, The Kingdom of Ordinary Time, W.W. Norton & Co.
Hurrying through errands, attending a dying mother, helping her own child down the playground slide, the speaker in these poems wonders: what is the difference between the self and the soul? The secular and the sacred? Where is the kingdom of heaven? And how does one live in Ordinary Time—during those periods that are not apparently miraculous? Free Dictionary: Cross check your idioms here! HAT holds an MFA from the University of North Carolina, Wilmington, and was a Fulbright Fellow to Viet Nam in 2004. She works at Washington University School of Law, and also serves as the poetry editor of Cedars, an online literary journal of fiction, nonfiction, and poetry. HAT currently lives in Webster Groves, where she blogs periodically to say the music is askew, the poetry slanted, church and faith tangled, and identities are hybridized. Tet Nguyen Dan: 14-16 Feb.
Dem giao thua: 14 Feb.
Mung 1 Tet (Tan Nien): 15 Feb.